Get to know the ALICE team that led the change from passive to proactive response strategies becoming the norm for Citizen Preparedness for Active Shooter events. Discover their passions and industry knowledge. They inspire and innovate the great work we do. Lisa Crane currently contributes to the ALICE Training Institute with ongoing curriculum development for the K-12 training programs. Lisa uses her diverse education background to ensure that all training modules are age-appropriate, psychologically sound and inclusive of special-needs students and staff members. A retired 30-year educator, Lisa has experience as a teacher, counselor and principal on all grade levels. She has gained additional perspective from working as both a play therapist and educational therapist in private practice. Lisa graduated from Texas A&M University with a BS in education and certificates in special education and early childhood. She holds an MA in education with a concentration in counseling from Midwestern State University, as well as a post-graduate certificate in school administration from The University of Texas at Arlington. Marianne Alvarez originally joined the ALICE Training Institute as the California regional director and has since transitioned into a top trainer and invaluable resource. Marianne is retired from the San Jose State University Police Department in San Jose, California, where she was responsible for internal and public affairs, investigations, federal Clery Act Compliance, property and evidence, communications, personnel and training. She was awarded the Medal of Valor for saving a life during a structural fire. Marianne holds a POST Management Certificate, a BA in criminal justice from Salve Regina University and an MS in administration of justice from San Jose State University. She attended the National Counter Terrorism Academy and has completed the Harvard Management Development Program. Shawn Slezak is a retired Deputy Sheriff from the Story County Sheriff’s Office in Iowa. During his career he worked in the Jail division, Detective division, Civil division, worked undercover narcotics, and retired as a Sergeant in the uniformed Patrol division. Eighteen of those years Shawn was a member of the Story County Emergency Response team, serving the last seven years as the Team Leader. He is a state certified handgun, shotgun and rifle instructor, ran the Story County Sheriff’s Office firearms program, and managed the firearms range. Shawn is a Federal Bureau of Investigations National Academy graduate with the 248th Session. He enjoys spending time outdoors in the mountains. Joe, aka ‘Chevy’, joined the ALICE Training Institute in a full time capacity after retiring from the Lima Ohio police department after 34 years of services. During that time he worked primarily in patrol functions, having spent 22 years with SWAT including 10 years as unit commander. Awards of distinction during his service include:* Lima Police Department, Outstanding Supervisor * Lima Police Department Distinguished Achievement Award * Ohio Tactical Officer’s Association, Region 1 Director * Lima Police Department Bravery Award * Lima Police Department Meritorious Citations (1980, 1988). Brandon Rhone has been in law enforcement for 17 years. Brandon has spent ten years in patrol before being promoted to the rank of Captain before his retirement. As the Captain of operations, Brandon was responsible for the day to day operations of the agency and was Commander of the SRO unit. Brandon is a certified School Resource Officer through the National Association of School Resource Officers. The SRO Unit was responsible for the school district safety plans and all drills and presentations to the student and staff of the district. Brandon is also a certified instructor in many law enforcement subjects including by not limited to: Defensive Tactics Instructor, Defensive Driving Instructor, Handcuffing Instructor, OC Instructor, First Line Supervisor Instructor, Interview and Interrogation, Monadnock Expandable Baton Basic Course Instructor, Law Enforcement Intelligence, Leadership and Mastering Performance Management, School Safety Current Problems, Trends and Solutions, Art Of The Undercover. Brandon joined the ALICE Training Institute in May 2015 as a National Trainer. In December of 2017, Brandon was promoted to Assistant Director of Training with the ALICE Training Institute. 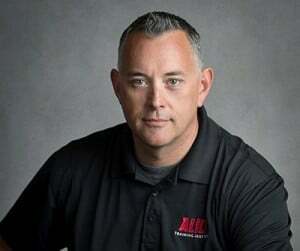 As a National Trainer for the ALICE Training Institute, he is considered one of the top trainers in Violent Critical Incident response in the United States and has trained approximately 3,000 local instructors for law enforcement, businesses, health care, houses of worship, universities and K-12. He holds board certification as a Physical Security Professional (PSP) from ASIS International to conduct security assessments worldwide. George has been a member of the Warren County Sheriff’s Office in Ohio for twenty four years. During his time at the Sheriff’s Office he has served in many capacities including the Corrections Division, Patrol Division, Field Training Officer, Training Division, Enforcement Supervision, Court Services Division, and has served as a Command Staff member at the Sheriff’s Office since 2005. George has served on the Ohio Judicial Conference Court Security Review Committee, and the Ohio Supreme Court Security Review Committee. George is a graduate from the Northwestern University Traffic Institute School of Police Staff and Command, The Ohio Law Enforcement Foundation’s Police Executive Leadership College and the Federal Bureau of Investigations National Academy 247th Session. Sean Kennedy is a retired police officer from the seacoast area of New Hampshire. Sean has spent most of his career in the Patrol Division with 5 years as a K9 handler and the past few years as the SRO of the high school. Sean is a state certified Use of Force Instructor with 13 years of SWAT experience. For 6 of those years, Sean was an assistant team leader on the Sniper Unit and was also responsible for running the firearms program for the team. During Sean’s career, he has received 3 Exceptional Service Awards and several marksmanship awards. Sean also has an educational background in Criminal Justice Studies and Homeland Security. Kenny Mayberry is a Lieutenant with the University Police at Southeast Missouri State University. He is a graduate of the FBI National Academy Session 248 and the FBI Law Enforcement Executive Development School. He holds a Masters Certificate and a Bachelors of Science in Criminal Justice. He is a certified FBI firearms instructor, Hostage Negotiator and an Active Shooter Trainer. He teaches nationally for Response Options as an ALICE and Solo Engagement Tactics Instructor. He is a member of the Cape Girardeau/Bollinger County Major Case Squad. He currently is the supervisor of the Criminal Bureau and Emergency Police Operations unit. He holds commissions with the City of Cape Girardeau, the County of Cape Girardeau and the Major Case Squad. He serves on numerous committees with university and city leaders. Francis is a retired 32-year law enforcement officer having served 28 years with the Spring Valley Police Department as the DARE Officer, School Resource Officer (SRO), SWAT Team Leader, Bicycle Officer, and the Department Firearms Instructor. As a certified FBI Instructor, he has been a Police Academy Instructor training police recruits for 26 years in Defensive Tactics, Physical Fitness, and Firearms. He received his initial ALICE Instructor training from Greg Crane in 2009 and implemented the ALICE Program throughout the local East Ramapo School District. Francis has a long history working in the public-school systems. He spent 15 years serving as an SRO and DARE Officer in a district of 7000 students and is also a former 2 term Elementary School PTA President, having won the NY Hudson Valley Parents As Readings Partners Award for Elementary School reading excellence. He has earned a Bachelor’s Degree from Mercy College in Psychology and his Master’s Degree in Human Resources Training and Development from Seton Hall University. He has recently completed a term as the Rockland County Basic School Coordinator for the Rockland County Police Academy and serves as the Assistant Coordinator for the Rockland County Stop DWI Program. Francis has been married to his wife Karen since 1987 and currently resides in Pearl River, N.Y. When not spending time with his wife and two grown children he can be found gardening, acting, traveling, and staying physically active. Steve Burgess retired in 2017 from law enforcement after 28 years of service. He served as a Security Officer in a Medical Facility, College Police Officer and 20 years as a Municipal Police Officer in Ohio. Steve is currently working in Corporate Security and is responsible for access control and the protection of physical and intellectual assets of the corporation. He has served in the capacity of Patrol Officer, Training Officer, Relief Supervisor and School Resource Officer. He assists schools, businesses and churches in creating emergency operation plans and the training of persons in these institutions. Steve was a member of the Ohio School Resource Officer Association (OSROA) Board of Directors for 10 years and acted in the capacity of Regional Representative, Secretary, Vice President and President. Steve has been selected to sit on many law enforcement and community committees at the local and state level. He teaches an array of courses in Ohio, including assisting in creating and updating the curriculum for the OSROA SRO Basic Training course where Steve has taught for over 13 years and currently assists OSROA in creating new programs for school based policing. Steve is often requested as a guest speaker at educational, law enforcement and House of Worship training/conferences. Steve has been teaching ALICE as a National Instructor for several years and believes this is one of those important lessons in life that each and every person should be taught; whether its in our educational institutions, healthcare, businesses, places of worship or government agencies. He has trained his own children and always reminds them of ALICE concepts as they go on their way to school, activities and out with friends. He holds an Associate’s degree in Criminal Justice, a graduate of Northwestern University School of Police Staff & Command and hundreds of hours of professional training. Steve is also a Certified DARE Officer and the first police officer in Ohio to receive the Ohio Master’s SRO Certification. In his free time, Steve enjoys spending time with his family and loves being involved with his three children. Steve is very active in his community as a coach and volunteer. He started a local youth basketball program in 2012 and grew to over 350 players and currently coaches junior high girls basketball and 18U baseball. Antonio (Tony) is a Sergeant with the Oregon (OH) Police Division where he oversees Crime Prevention, Community Policing, Juvenile Diversion, Grants, Training, and supervises the DARE and School Resource Officers. As the divisions Firearms Range master, he oversees the firearms training program and holds Firearms Instructor Certification in Revolver, Semi-Auto Pistol, Shotgun, Patrol Rifle and Sub-Machine Gun. Tony has been a member of the division’s Special Response Team since 1993 and was named the Team’s Commander in 2009. Prior assignments include Patrol Supervisor, Detective and 7 years as the division’s first School Resource Officer. Assigned to the local high school in 1998 he has been involved in school safety and its evolution post-Columbine. Having attended a number of school safety training seminars, Tony achieved National Practitioner (2003) status awarded by the National Association of School Resource Officers. With experience in both school based policing and in SWAT tactics, Tony has become a recognized trainer in both disciplines. Tony has a Bachelor of Arts Degree in Criminal Justice from Lourdes University and has been awarded the Oregon Police Division’s Achievement and Lifesaving Awards. Tony became a Certified ALICE and RAIDER instructor and has taught both instructor level courses for ALICE Training Institute and Response Options, including at the 2013 Ohio Tactical Officers Association Conference where he also serves at OTOA’s Region 1 Representative. Tony has two adult sons and five grandchildren. Shawn Collins has over 22 years’ experience as a law enforcement officer in central Florida. He started his career as a deputy sheriff in 1995 and later joined a municipal agency. He is presently a sergeant assigned to the Uniform Patrol Division. During his career, he has held a variety of positions to include: Hostage Negotiations Team Leader, S.W.A.T., Street Crimes, Uniformed Patrol, Human Resources & Training, and Law Enforcement Academy Coordinator. He has been an adjunct instructor for traditional/online classes at the Kenneth C. Thompson Institute of Public Safety and Polk State College for the last 16 years. He holds several instructor certifications to include: Firearms, Reality Based Training, Defensive Tactics, Police Driving, Rapid Deployment to Critical Incidents, Master Taser Instructor, Incident Response to Terrorist Bombing, Understanding and Planning for School Bomb Incidents, Prevention and Response to Suicide Bombing Incidents. In addition to his instructor certifications, he holds two Master’s Degrees; one in Criminal Justice from Troy University and a second in Organizational Leadership from the University of South Dakota. Barbara Dorff has been an educator for the past 38 years. She spent 21 years as a K-12 counselor, and has also been an Associate Principal at a large high school, Principal at a K-8 school, Director of Students Services and Executive Director of Learning for Green Bay Area Public Schools. She retired in June 2015 from her position as the Executive Director of Pupil Services in Green Bay and has had shared responsibility for School Security in Green Bay for the past 12 years. She is currently a Police/Fire Commissioner for the City of Green Bay. She was on the Wisconsin State School Crisis Preparedness Committee for 7 years and has presented at numerous state conferences on the topic of School Security. Edward Dorff is a life-long resident of Wisconsin. Immediately following high school graduation he entered the United States Marine Corps, serving on active duty for two years. Following active service he worked at American Motors in Kenosha before starting college. Ed graduated from UW-Platteville with degrees in criminal justice and education, and earned a Master’s degree in educational administration from UW-Madison in 1985. Ed’s work experience includes four years as a patrol officer with the Town of Rome Police Department in Adams County, Wisconsin and thirty-four years as an educator at all levels kindergarten through university graduate school, including three years as the education director at Lincoln Hills School – Department of Corrections. Ed was the principal of Green Bay East High School in September 2006 when that school was faced with a grave “Columbine-type” threat. Ed has received numerous awards and commendations, and was twice named as a leader in urban education by the Wallace Foundation. Steve Dudak is currently active in Law Enforcement as a State Trooper for the state of Iowa for the past 22 years. Duties and responsibilities include, State certified Firearms Instructor for 9 years, Field training officer, Hostage Crisis Negotiator for 14 years while performing the duties of assistant team leader for 4 years. Steve has been a certified ALICE Instructor since 2013 and holds an Associate Degree in Criminal Justice and Law Enforcement. Steve has successfully instructed the ALICE training principals in several school districts in NE Iowa and also has been asked to monitor and provide input in ALICE based trainings and drills in a variety of locations such area hospitals and mental health institutions. A local coach bus line business asked for driver specific training using the ALICE concepts and he successfully provided classroom and scenario based training for this venue in 2015. Since 2011, Steve remains current as a certified instructor with the USCCA and teaches concealed carry and home and personal defense training in NE Iowa. Achievements and awards for success include Chief’s Commendation award for Hostage Crisis Negotiations for designing curriculum and power point presentation for Law Enforcement Dispatcher trainings. In addition Steve was recognized for the first, “text only” negotiations in the nation occuring December 2011 and recognized by the FBI Hostage Negotiation Unit in Quantico VA.
Steve enjoys the outdoors and traveling with his wife. Both enjoy cross country skiing in the winter and trail bike riding in the summer. Ron Hackenberg is an attorney, licensed to practice law in the state of California. Ron is also a former Chief of Police with 35 years of law enforcement experience. On March 1, 2007, he became Chief of Police at California State University San Marcos (CSUSM), only six weeks before the tragic school shootings at Virginia Tech. For the next five years, Chief Hackenberg focused on preparing the 11,500 person CSUSM community to respond to such an attack. CSUSM became a leader in Active Shooter Preparedness and was named the Safest University in the State of California in his last two years as Chief of Police. Ron Hackenberg obtained his Juris Doctor degree from Northwestern California University School of Law in 2016 and holds a Master of Science degree from Villanova University. He is a graduate of the 151st Session of the FBI National Academy in Quantico, Virginia. He is the former Statewide Director of Criminal Investigation for the Pennsylvania State Police and is still the youngest person ever promoted to both Lieutenant and Major in the 113-year history of that 6500 person organization. Ron Hackenberg has been a faculty member at Harrisburg Area Community College, York College of Pennsylvania, and Palomar College in California; and has twice been awarded Certificates of Excellence in Teaching. He has also instructed for California’s Peace Officers Standards and Training (POST). Curtis Hall is currently a Patrol Lieutenant with the Franklin County Sheriff’s Office in Ottawa Ks. He has served the county since 1998. He currently is the lead firearms instructor and oversee’s all training aspects for the Sheriff’s Office. Curtis started as a Corrections Officer in the Adult Detention Center then went to Patrol, Drug Enforcement Unit, Patrol Sgt., Patrol Lieutenant, Interim Communications Director. Curtis has spent 10 years on the Special Tactics and Rescue Team and still assists with training for the team. Curtis has been certified to instruct A.L.I.C.E. and R.A.I.D.E.R. and has implemented both for Franklin County. Curtis has been instructing R.A.I.D.E.R. nationally for A.T.I. for 3 years. Dave Hill is a former member of the California Highway Patrol. He retired in 2014 at the rank of Lieutenant Commander after 30 years with the Department. During his career he was a member of the Department’s Officer Involved Shooting Investigation and Critical Incident Response Teams; trained and certified as an Emergency Medical Technician, Emergency Medical Responder Instructor, Drug Recognition Evaluator, Field Training Officer, Physical Methods of Arrest Instructor, and member of the Dignitary Protective Services Detail. His assignments included the San Jose, Monterey and Hollister-Gilroy CHP Areas as an Officer; El Centro, San Jose and Hollister-Gilroy Areas as a Sergeant; The CHP Coastal Division Office in San Luis Obispo as the Administrative Assistant to the Executive Management Team; Executive Lieutenant at the Monterey Area, and finishing his career as the Commander of the Gilroy Commercial Vehicle Enforcement Facility. He currently works with the San Jose Police Department as a Background Investigator and for ALICE Training Institute as a National Adjunct Trainer. Personally, he serves in multiple capacities at South Valley Community Church in Gilroy, CA, has been involved with the Gilroy Garlic Festival since 1988 and has been involved in a volunteer capacity with various youth and high school sports for many years. He has been married to his wife, Tracey, since 1988 and they have five children. Trustee for the Atwater Elementary School District. Hoffar is and has been involved in national, state and local community organizations, including The National Association of School Resource Officers as an instructor and Regional Director for California, Nevada and Hawaii, The Commission on Peace Officers Standards and Training (POST) as an Advisory Committee Member for the development of the state’s School Resource Officer Curriculum, Member of California Association of Supervisors of Child Welfare and Attendance (CASCWA), Past-President of the Atwater Police Officer’s Association, Member of The Atwater Caring About Kids Council and The Atwater Rotary, Member of the Atwater Police Activity League, Member of the California State Juvenile’s Association, Director of the Atwater Chamber of Commerce and a Lead Adviser for the Atwater Police Explorer Program. Hoffar is also a former Officer of the Year and has received numerous commendations. Ray Leggett is currently the Chief of Police in Skagway Alaska where he been serving since 2004. During his 37 years of service he has worked, patrol, undercover, crime scene, Detective Sergeant, Lieutenant of Training and Internal Affairs, 21 of those years as a SWAT officer and 10 as the commander. He has implemented and instructed in a Jail Academy and a Police Academy with instructor rating as a Firearm Instructor, Use of Force Instructor. Ray has a Master Peace Officer Certificate from Texas and an Advanced Certificate from Alaska. He is a graduate of the 186th FBI National Academy and the Law Enforcement Management Institute of Texas. He is Married with 5 children. Kenny Lott has worked in the field of law enforcement for 10 years. He began his career in San Jose California where he served as the department’s active shooter program coordinator from 2007 through 2013. During his time as a police officer in San Jose Kenny worked various details including: patrolman, firearms instructor, defensive tactics instructor, Critical Response Unit team member and team leader, department liaison to the Bay Area Joint Terrorist Task Force, as well as several other details. As the SJSU Police Department’s active shooter program coordinator he assisted both the University of California Davis and Texas A&M University with the construction of their programs. In 2013, Kenny and his wife relocated to the state of Washington where he began working as a police officer for the city of Redmond. Kenny currently serves on the Redmond Police Department SWAT team, is a department firearms instructor and is involved with the Community Outreach Unit as an active shooter response trainer. Kenny also continues his work as a contract trainer for the A.L.I.C.E Training Institute training sworn and civilian personnel around the country on how to respond, implement and train others to deal with an active shooter incident. Kenny has an honorable discharge after 8 years of service with the United States Army, he holds a B.A. degree from the University of Central Oklahoma, is a Nidan (2nd degree black belt) in the discipline of judo and was blessed with a beautiful baby girl (Kendall) in January 2014. Officer John Lubawski, a twelve-year veteran of the Pittsburgh Bureau of Police, has filled several roles within the Bureau and has recently returned to a patrol assignment. As Rangemaster his responsibilities included the bureau members’ education and training, Officer Lubawski prioritized overall safety and effectiveness while simultaneously generating public confidence in the police. In addition to his responsibilities within the Bureau, Officer Lubawski served as the liaison between the Pittsburgh Bureau of Police and the Pittsburgh Zoo & PPG Aquarium’s Dangerous Animal Response team, and had worked closely with team members to develop a comprehensive training curriculum. Prior to being appointed to the position of Rangemaster, Officer Lubawski served as a Pittsburgh Bureau of Police Firearms Instructor, developing and implementing the Bureau’s Patrol Rifle Program, a Reality-Based Training program, and other specialized curricula. During his twelve-year tenure Officer Lubawski has served as a Field Training Officer, CPR Instructor, TASER Instructor and Patrol Officer in Pittsburgh’s South Side and West End neighborhoods. A lifelong resident of the City of Pittsburgh, Officer Lubawski learned community commitment at an early age as the oldest of five children growing up in the city’s Arlington Heights neighborhood. His sense of commitment further developed when, upon graduating from Schenley High school, he enlisted in the United States Marine Corps and pledged to uphold the Marine Corps values of Honor, Courage and Commitment. Officer Lubawski served four years in the Marine Corps, earning two Navy and Marine Corps Achievement Medals, Good Conduct Awards, and being awarded multiple Expert Marksmanship badges for both the Berretta M9 Service Pistol and M16 a2 Service Rifle, before he was Honorably Discharged as a Sergeant. Officer Lubawski has long supported many volunteer organizations including Big Brothers and Big Sisters, the Special Olympics of both Hawaii and Pennsylvania and Dynamo Soccer. Most recently, he’s become active with Cub Scouts of America along with his 7-year-old son. Returning to the University of Pittsburgh to complete his degree in Administration of Justice he aspires to complete his Masters in Public Policy and Management at the Graduate School of Public and International Affairs at the University of Pittsburgh. Currently living in Pittsburgh’s Morningside neighborhood with his wife, Joy, and two children, Gunnar and Eden, he plans to continue residing there as he finishes his career with the Pittsburgh Bureau of Police. Andrea Nester is independent consultant for the ALICE institute and Certified School Risk Manager for Natrona County School District in Casper, WY. She grew up in Glenrock, WY and attended college at the United States Military Academy in West Point, NY. She was commissioned as an officer in the United States Army and joined the Military Police Corps following graduation from United States military academy. She attended Military Police Officer Basic Course, Fort Leonard Wood, Missouri. Her assignments include: Military Police Platoon Leader, Baumholder Germany; Military Police Detachment Commander, Baumholder Germany; Provost Marshall of 1BCT 4ID, Fort Hood, Texas and Baghdad Iraq; MP Operations Officer and MP Company Commander, Fort Riley, KS. She is also a certified Interservice Non-Lethal Weapons Instructor, trained Red Team Member, and Logistics Officer classification. She met her husband in Fort Riley, KS and married in 2011. She has four children ranging in age from 19 years old to 6 months old. Her hobbies include woodworking, coaching, playing and umpiring fastpitch and slow pitch softball and breeding English Bulldogs. She is privileged to be allowed to bring her knowledge and experience to you and hopes that it will benefit you in your future endeavors! Justin is currently a full-time police officer and school resource officer for Oswego Police Department in Oswego, IL. He has been an Officer for 13 years and an SRO for 5 of those years. Justin has been instructing a duel credit criminal justice class at the high school for 5 years. Besides his SRO assignment, he is also a Defensive Tactics Instructor, a Rapid Deployment Instructor, OC instructor, Juvenile Officer and Honor Guard Member. Prior to transferring to Oswego, Justin was a member of the NIPAS EST WMD team for three years. He has his BA in Law Enforcement Justice Administration and Marketing from Western Illinois University. In 2013 Justin was given the Lifesaving award. He was also recognized by the 98 th Illinois General Assembly, House Resolution HR0997 for his actions. Justin has been an Alice instructor since 2013. Chris has been a police officer with the city of Mentor (OH) since 1997 and currently works in patrol. He has been a sniper on the SWAT team since 2002 and is currently the sniper team leader. Chris is a firearms instructor certified in revolver, semi-auto, shotgun, patrol rifle, sub-machine gun, and scoped rifle. He also holds other instructor certifications to include less lethal, diversional devices, ALICE, and RAIDER. Chris became a certified RAIDER instructor in 2014 and has been teaching the instructor level classes for the ALICE Training Institute since 2015. Prior to his work in law enforcement, Chris was an active member of the United States Navy where he served for six years. Four of those years were served as a Master At Arms. He was a Watch Commander and the team leader for the Security Alert Team. Chris had several overseas deployments to include Operation Desert Shield, Operation Desert Storm during the first Gulf war, and the Persian Gulf war. He received several Letters of Commendation, Letters of Appreciation, Enlisted Surface Warfare Specialist, and the Navy Achievement Medal. Theresa Simpson is a National Instructor for the ALICE institute and has enjoyed her career in public safety for 18 years. After serving multiple assignments in the Detention Center, PSCC 911 Dispatch, Emergency Management, Wildland Firefighter and EMT, she retired from public safety in 2017. She is currently enrolled full-time at Casper College, actively pursuing her second career in the field of Radiology. 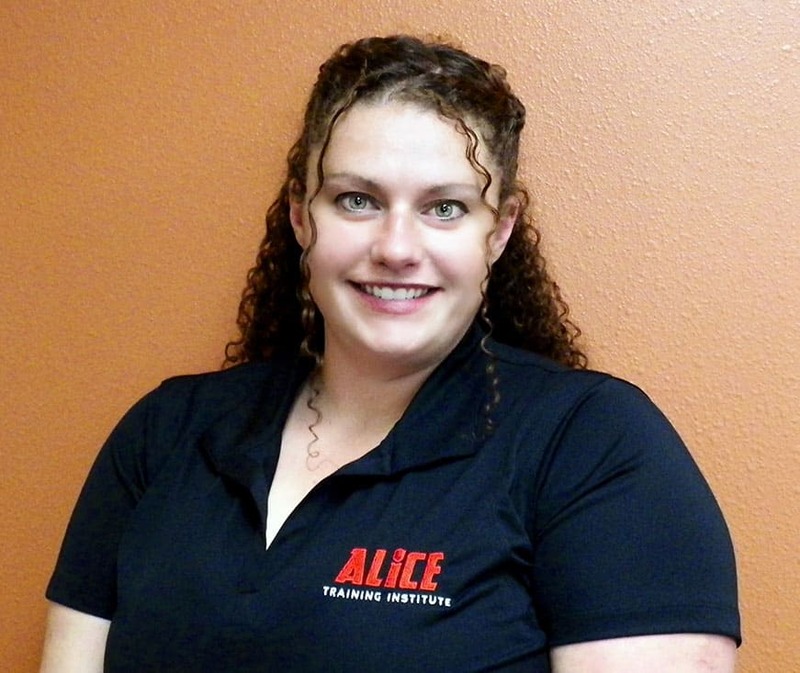 She is a certified Peace Officer Practitioner Lecturer through the State of Wyoming, Adjunct Instructor for Casper College, a National Authorized Trainer for CDP and is proud to be a National Trainer for the ALICE Training Institute. Theresa is very passionate about the ALICE program and believes we all have the ability to cultivate heroes and save lives. She takes great pride in educating others on how they can better protect themselves, their family and neighborhoods during an emergency. In her free-time she enjoys spending time with her family and four grandchildren. John A. Sylvester was an FBI Special Agent and FBI Special Agent Supervisor, retiring in 2005 after 22 years of service. He specialized in Reactive Crimes and Rapid Response, CounterTerrorism Investigations, and Operations, WMD (Nuclear, Biological, and Chemical) Tactical Operations (HMRT Team Leader), Executive Protection Team, and Special Event Security and Operations (Air Shows, SuperBowls (2), Conventions, and Marathons). He is a Master Police Instructor / USMC Instructor. He has held many high-level security clearances including Top Secret, Q (Nuclear Weapons), and Satellite. He is a Graduate of the SouthWest Command College for Law Enforcement and Command Operations. As an FBI Agent, he created the first San Diego Anti-Terrorism Team (in the FBI and the Nation), a multi-agency, multi-jurisdictional, multi-operational Team able to respond to any man-made or natural critical incident in the San Diego Operational Area. The Team had cross training and operational training of Team members in each other’s capabilities, equipment, and protocols. He is currently Director of Tactical Operations and Training at Executive Response Solutions. He provides security planning, training, and exercises for all levels of Government, First Responders, Agencies, Tribal Nations, and Corporations; subcontracting to other Companies to provide similar services. After becoming aware of ALICE training and concepts, he became an ALICE Certified Instructor and now is proud to be a member of the National Trainer Team. Aaron has been a school-based law enforcement officer for over 16 years. 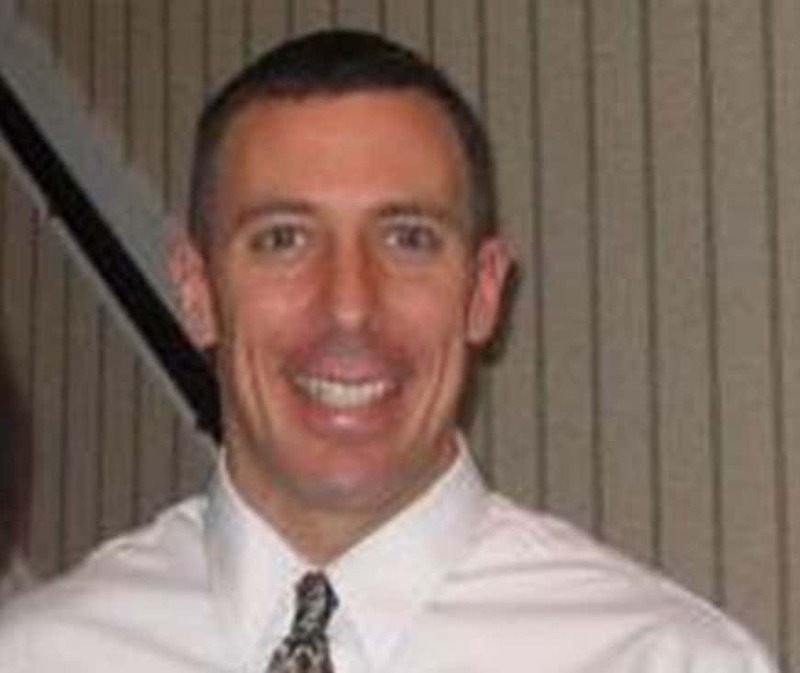 Currently he leads the Quaker Valley School District Police in suburban Pittsburgh, Pennsylvania. 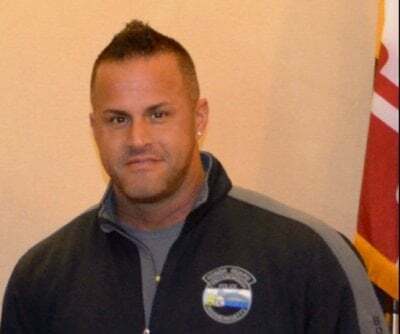 Prior to joining the Quaker Valley School District Police in January 2015, he lead the Keystone Oaks School District Police in Pittsburgh where he was presented with a national model agency award in 2014. During his career he has also worked in patrol, undercover narcotics, corrections, and probation. Aaron has taken over 1100 hours of training focusing primarily on school safety and working with the juvenile client population. He has been recognized as a National School Resource Officer (SRO) Practitioner and is currently the Region 3 Director (PA,NY,NJ, & DE) for the National Association of School Resource Officers. He helped establish the Pennsylvania School Resource Officers Association where he is currently the immediate past president. Aaron received his BA in Sociology and Anthropology from West Virginia University and completed the Pennsylvania Municipal Police Training Academy at Indiana University of Pennsylvania. Spencer Walton has been a certified peace officer for the City of Atlantic, IA since 2008. During this time he has obtained state certification in handgun, shotgun and rifle instruction. He has furthered his specialized training with criminal intelligence and interdiction, narcotics interdiction, civilian and law enforcement response to active shooter situations and various other courses. His duration in law enforcement has been spent in uniformed patrol and acting as a departmental trainer for both full time officers and police reserves. In addition to law enforcement training, Spencer offers various training courses to civilians for over-all safety and preparation. Prior to and during his service he has studied at Iowa State University and Peru State College; majoring in engineering and criminal justice administration. Spencer is an avid outdoorsman and enjoys hunting, fishing, golfing and spending time with his family. Melissa is currently a full-time police officer and school resource officer for the city of Two Rivers Police Department in Two Rivers, WI. Melissa has been an Officer for 13 years and an SRO for 7 of those years. Besides her SRO assignment, her duties also include SWAT team member, crime scene investigator, field training officer, CISM & LEDR team member, Peer Support trainer and coordinator, crisis negotiator, multiple instructor certifications including Criminal Justice and DARE instructor, sensitive crimes investigator, CVSA analyst among other things. Melissa has her Associates Degree in Criminal Justice and BA in psychology. Melissa also holds her MA in counseling and has a private practice in which she specializes in law enforcement and emergency responders. She was also awarded (2) Life Saving awards and Officer of the Year. Chris Akers is a senior software engineer for the ALICE Training Institute. Chris is responsible for development of ATI’s web-based risk management and eLearning portal and for the operations of all business information systems. Prior to joining The ALICE Training Institute, Chris served as the lead engineer for the second-largest wireless internet service provider in the state of Ohio and was responsible for design, installation, and maintenance of all network infrastructure within the region. Chris has over seven years of experience in industrial and wireless networking and over ten years of experience in software development. He is an honors graduate of Sinclair University with a degree in Computer Information Systems. Nick Feyerchak is the Sales Manager for The ALICE Training Institute. He has 5 years of experience helping high-growth startup companies go-to-market with leading edge technology and service offerings. Nick manages ALICE’s marketing and new client development team. The majority of his time is spent working with a team of Program Managers to develop new business and service to existing clients in the law enforcement, education, and business markets. Nick also works closely with ALICE’s marketing and product development teams assisting in their e-learning risk management platform. Prior to ALICE, Nick was a significant contributor to OnShift’s customer success team responsible for assisting their Director of Sales Operations develop an inside sales team from conception while leading that team as the #1 new business development rep. Nick was also the go-to guy for the EVP of Sales creating for him an array of internal solutions that helped the new startup market their e-learning solutions online, as well as programming internal systems to optimize workflow to help achieve an aggressive growth plan. Nick graduated with honors from Cleveland State University as an Active Member of the American Marketing Association with a Bachelor’s Degree in Marketing and Advertising. Justin is the Program manager for the ALICE Training Institute. Justin interacts with various markets including schools, universities, businesses and law enforcement through the complex process of implementing ALICE’s options based active shooter response training. In doing so, he has learned about what it takes to align with the new Federal Guidelines regarding how to prepare, educate and train staff and students for a violent intruder event. He takes great pride in working directly with those who take the necessary steps to bring proactive response training to their organization. He regularly donates his time and skills in a kitchen to various charities. He works closely with Wigs for Kids to develop the fundraising events. Since being with ALICE he has learned the importance of being prepared and having a proactive plan for anything and sharing that message with clients. Joanna Terry is a Program Manager for The ALICE Training Institute. She has been working in the sales and customer service environment for the past three years. Joanna is responsible for helping law enforcement, K-12 schools and businesses across the country bring ALICE to their respective organizations through Instructor-led training, risk consulting services, and online learning solutions. Prior to joining ALICE, Joanna worked as an Account Manager for a leading marketing firm in Northeast Ohio. She managed several large accounts with a supportive team of 15 employees ensuring best practices for client retention. Joanna graduated from Malone University with a degree in Spanish and a minor in business administration. She is true believer in the ALICE concepts and is passionate about spreading the model to every school, business, and non-profit in the U.S.